- Date: 01/2012, Seed: $550 k (post valuation: $4000000). Thanks to Vator for the award. i'm an investor in the company, and they rock. Co-founders from OpenTable and Zynga. beautiful design, great marketing, huge market opportunity. The fastest, easiest online marketing app you've ever seen. Businesses love our app because it enables them to create and send messages to customers with no design, marketing or coding expertise. 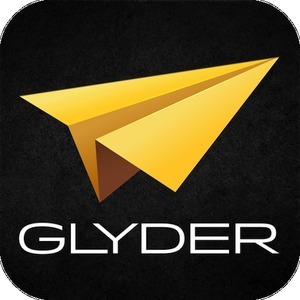 Glyder is already integrated with leading social networks, email and CRM platforms, including: Facebook, Twitter, Pinterest, email and SMS, Apple Passbook, MailChimp, Constant Contact, Salesforce, and Highrise. Small businesses need a better way to create & share effective content for email and social platforms. That's why we built Glyder. Over 6,000 businesses are using Glyder to communicate with 3,300,000 customers and contacts. Businesses love our app because it enables them to create, preview and send messages to customers on 10 different platforms with no design, marketing or coding expertise required. 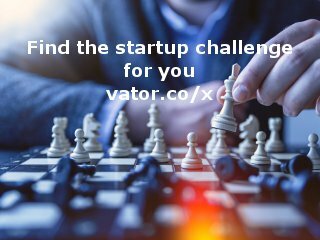 It's an exclusively mobile experience that removes all the content creation, design, and technology challenges that prevent small businesses from communicating with their customers online. Glyder is already integrated with leading social networks, email and CRM platforms, including: Facebook, Twitter, Pinterest, the iOS Address Book for email and SMS, Apple Passbook, MailChimp, Constant Contact, Salesforce, Highrise CRM, and several more in the works (Google+, Tumblr blog, etc.). CEO, designer & product guy at Glyder. Track record of turning good design into dollars at Zynga & Affinity Labs (acq. by Monster). Previously founded Haku Wale, a design studio (acq. by Nextive). The app is free to download, with in app purchases and subscriptions for premium content coming by end of Q1. Glyder’s business model is positioned to disrupt small business marketing software with micro transaction pricing similar to mobile games. This model is enabled by a cost to acquire a paying user that is an order of magnitude less than industry average for SMB software. First mobile app for Small Business Marketing. Glyder is the Constant Contact of Mobile. Glyder was featured in a VatorNews article: "Splash SF Feb 2013 Finalist - Glyder"
Glyder was featured in a VatorNews article: "The winner of Vator Splash SF is... PokitDok!" Glyder was featured in a VatorNews article: "Vote for your favorite startup at Splash SF Feb 2013"
Glyder was featured in a VatorNews article: "Here are the 10 finalists for Vator Splash SF!"